Tips and Tricks to Help You Plan Your Magical Vacation! 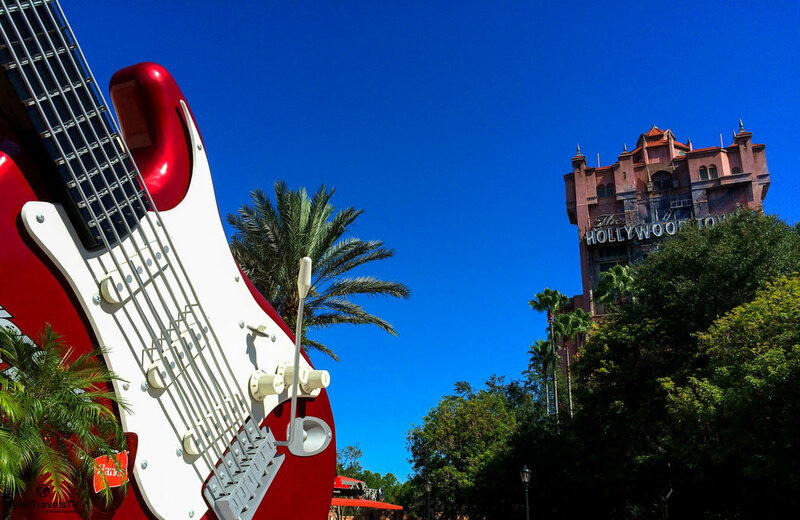 Rock 'n' Roller Coaster and the Twilight Zone Tower of Terror are great FastPass+ options! Walt Disney World’s FastPass+ system is a great way to help maximize your time in the parks! This complimentary benefit allows you to skip the standby line at over 60 Walt Disney World experiences! Using Disney’s FastPass+, you can make up to three FastPass+ selections per day, at a single park, for each day you have a ticket. FastPasses can be made starting 60 days prior to your arrival date (30 days if you’re staying off property*), starting at 7:00AM Eastern Time. Your first day is the best time to try and reserve those hard-to-get FastPasses for things like Seven Dwarfs Mine Train, Frozen Ever After, and the new Avatar rides! Magic Kingdom has a straightforward selection system, where you can reserve three FastPasses at any of their attractions. Hollywood Studios, Epcot, and recently Animal Kingdom with the addition of Pandora, have a tiered system. They have a list from which you can pick one attraction (the top attractions in each park) and you can pick your other two FastPasses from a second list of less popular attractions. Once you’re in the parks, you’ll then use your MagicBand to enter the FastPass+ line during your 1-hour arrival window. Generally, I advise trying to reserve your FastPasses for the morning, as once you use your initial three FastPasses, you’ll be able to add more for later in the day! You can add more by using the My Disney Experience Mobile App or by visiting a FastPass+ Kiosk where a Cast Member can assist you in planning. As I mentioned above, Magic Kingdom has a straightforward FastPass+ selection system, and you can reserve three FastPasses at any of their attractions, based on availability. Hollywood Studios, Epcot, and Animal Kingdom all have a tiered selection system. Below you will find all of the current attractions in Walt Disney World currently eligible for Disney FastPass+. For Epcot, Hollywood Studios, and Animal Kingdom, I have broken down the attractions into Tier 1 and Tier 2. When selecting your FastPasses, you can pick one attraction from Tier 1, and you can pick two attractions from Tier 2. All rides and FastPass+ selections are subject to availability. Seven Dwarfs Mine Train is a great use of a FastPass! It’s all well and good to see all of the rides, attractions, and other experiences listed out, but what what should you select? Here are a few suggestions to get you thinking about what you may want to reserve! In the Magic Kingdom, I definitely suggest trying to get FastPasses for Seven Dwarf’s Mine Train! It’s one of the newest rides in Walt Disney World and can be one of the hardest FastPasses to find. It’s a thrilling, yet amazingly smooth ride through a mine where a “million diamonds shine”! The three “Mountains of the Magic Kingdom” (Space Mountain, Splash Mountain, & Big Thunder Mountain) are also good rides to use a FastPass, as their lines tend to be pretty long all year. Both Peter Pan’s Flight, Haunted Mansion & the Pirates of the Caribbean are also known for having long wait times, so if those are “must-do” attractions for you, it may be worth considering using a FastPass for either of these. “it’s a small world” is, of course, a classic, and provided you don’t mind the incessant singing of children ringing in your ears for the rest of the day, this is a great attraction for the kid in all of us! Epcot has three of my favorite rides in all of Walt Disney World! Soarin’ takes you on a journey across the world and gives you a bird’s eye view of some of the most iconic places on earth such as the Eiffel Tower in Paris, the Taj Mahal in India, and the Great Pyramid in Egypt! Test Track takes you inside a computer simulator to test a concept car, and the brand new Frozen Ever After ride in the Norway Pavilion takes you to visit Anna and Else in Arendelle! All three of those rides top my “must-do” list! Another really cool attraction is Mission: Space! It takes you on a ride to Mars and you really feel like you’re blasting off into space! There are also other classic attractions, such as Spaceship Earth, located inside the “Epcot Ball” and Living with the Land! If you are into thrill rides, this is the place to be! The Twilight Zone Tower of Terror and Rock ’n’ Roller Coaster are two of the most intense and fun rides in all of Walt Disney World! If you’re fans of Star Wars, Star Tours is a really cool motion simulator ride that makes you feel like you’re flying through space! Toy Story Mania is also tons of fun, and since it’s a game you can compare scores and see who’s the all-time winner! One of my favorites is the Muppet*Vision 3D. It’s a little (ok a lot) silly, but it’s really funny and the technology is still cool! I would suggest not using a FastPass+ on Muppet*Vision 3D because there generally is not a long line. Finally, at the end of the day, Fantasmic! is the perfect way to end the day at Walt Disney World and my personal favorite nighttime show. A few suggestions - you shouldn’t need to use a FastPass if you get to the line early enough. I would suggest going to the later show if everyone has enough steam left, because it tends to be less crowded. Finally, try and sit as close to the middle as possible, but not in the first 10 or so rows, because you’ll get wet from the water screens! Both Expedition Everest and DINOSAUR hold the top spot for my heart in Animal Kingdom. They’re both thrilling, but in very different ways. Expedition Everest is a high-speed roller coaster that takes you into the Legend of the Forbidden Mountain where the Yeti lurks! DINOSAUR takes you back in time to save an iguanodon right at the brink of extinction. I hope you make is back in time! Kilimanjaro Safaris is a neat way to see some wild African animals up close! It’s Tough to be a Bug is a show that takes place inside the Tree of Life! It’s a 3D show that has laughs for everyone. One of my favorites in Animal Kingdom is Primeval Whirl! It’s not often talked about, and it’s one of my favorite hidden gems in Animal Kingdom! The lines tend not to be very long, and it looks like a “kiddie” ride, but it’s really a blast! The cool thing about Animal Kingdom is there are lots of trails and hidden walkways with animals all around. There are the Discovery Island Trails, Gorilla Falls Exploration Trail, Maharajah Jungle Trek and more that are really cool ways to see the animals. Finding Nemo the Musical and Festival of the Lion King are also both great shows. The new world of Pandora also has two rides with FastPass+ capability. The first is Avatar Flight of Passage, on which you soar on the back of a mountain banshee during a thrilling ride over Pandora! The second is the Na’vi River Journey, where you venture deep into a bioluminescent rainforest in search of the Na’vi Shaman of Songs. These are on a tiered system from which you can only pick one for the FastPass+ system. A lot of people have asked me about acquiring additional FastPasses. Currently there is actually no way to buy any more than the three you have per day. Once you redeem your initial set of FastPass+ selections (or the last arrival window has passed), you can make another FastPass+ selection for the same day at an in-park kiosk or using your mobile device, up to park closing. After you redeem your additional FastPass+ pick, you can make more selections, one at a time. If your ticket includes the Park Hopper Option, after you use your initial FastPass+ selections at the first park, you’ll be able to make additional FastPass+ selections (one at a time) at a kiosk or using the mobile app at the second park you visit that day, up to park closing. So there you have it! A brief overview of Walt Disney World's FastPass+ system! What tips and tricks do you have for using Disney’s FastPass+ system? Comment below! *There are a select few Walt Disney World Good Neighbor Hotels that also offer the 60 day FastPass+ booking window.